Keyless entry systems add a level of convenience to both homes and vehicles that make us wonder how we managed to get by without them. After all, how nice is it to be able to click a button or enter a code to open a door? From a purely convenient standpoint, keyless entry is great for those days that we try to carry too many things at once and don’t have time to dig through bags to find keys—or for those who habitually lose keys or lock them somewhere inaccessible. And, as locksmiths, when we talk about keyless entry systems, we’re usually talking about those handy numbered keypad door locks that we regularly install on residential homes. However, it’s important to remember another set of keyless door locks you probably use multiple times a day: your vehicle’s lock system. As thieves get more tech-savvy, that convenient keyless entry system in your car may actually become a potential hindrance rather than a help. 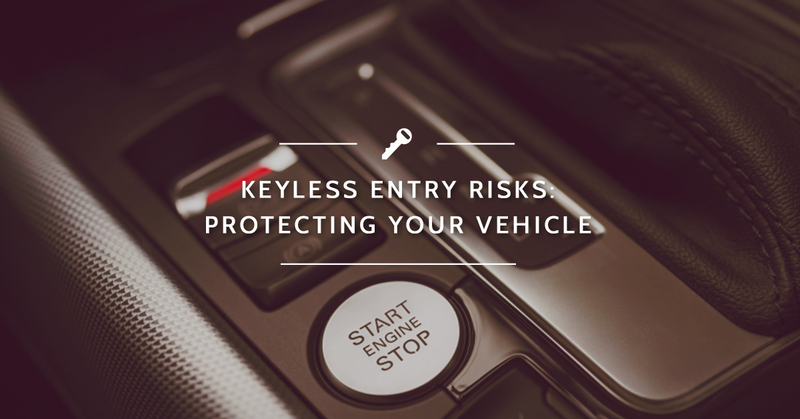 Vehicle-specific keyless entry systems were initially developed as a way to make vehicles safer and more difficult for thieves to break into. Unfortunately, as usually happens, car thieves didn’t give up when security measures got more difficult, they worked for ways around the new problem. First, it was getting a hold of locksmith tools like a slim jim and learning how to pop a lock and hotwire a car. Now, the more tech-savvy set amongst car thieves have been finding less noticeable ways to break into and steal cars. According to a recent article from Wired, car thieves and hackers have been working toward ways to electronically unlock and start vehicles with a keyless entry system. This means no picking locks, no prying open doors or using a slim jim, and most importantly, no learning to hotwire a vehicle. Instead, they have created a device that tricks your vehicle into thinking it’s being unlocked by a transponder key and, for keyless ignition systems, starting the car with a click of a button. While a device like this used to be cost-prohibitively expensive, a follow-up article shows that now, thieves can make working car hacking devices for a mere 22 dollars from Radio Shack. The device being used does something pretty simple, in terms of hacking. One device is held near the car’s transponder key—in this case, a thief outside a home is close enough, assuming the car key is inside, as it usually is when the car is parked in the driveway. A corresponding device is placed near the car, the signal is transmitted, and the car thinks the key is nearby and opens readily. The whole process is called key-spoofing, and is designed to work with a variety of makes and models that simply need the proximity of the key to unlock by making both car and key fob think they’re closer to each other than they really are. And, because these proximity keys are generally also keyless ignition systems, the car can be started with the same method and thieves can make off with a car before anyone even notices an attempt. And, the most surprising fact? According to an Edmunds article, once the car is started and in motion, it doesn’t require key proximity to stay running. The engine won’t shut down on its own—at best, the car will show a warning light or emit a noise—which means thieves don’t need to find a way to continue boosting the signal from key to car. Sure, it sounds pretty daunting that car thieves can now create a device and hack your car for less than the price of date night at the movies. However, there is some good news: not all cars can be hacked this way. You can learn more about the study conducted into this and see the list of cars that were hacked via key-spoofing in both the Wired and Edmunds articles linked above. Of course, if you recently bought a car on that list, we’re not saying you should immediately go trade it in. If you’re worried about key spoofing, the best ways to protect your vehicle are to block radio signals to/from your key. This can be done with a “faraday cage” option like an RFID blocking pouch or, surprisingly, your freezer. For more information on protecting your home and vehicles, trust to the lock and key experts near you. 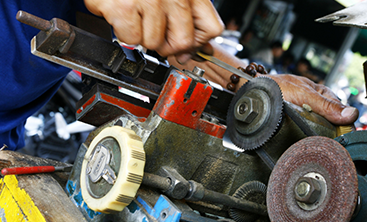 Stay tuned to our blog for more on protecting your home, business, and vehicles alike. 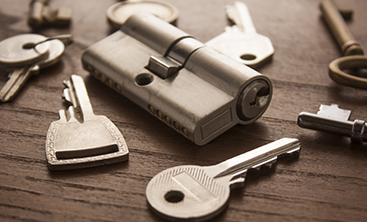 We can help with everything from finding the right lock for your needs to installing a monitored home security system—and, of course, we can help whenever you’re locked out. 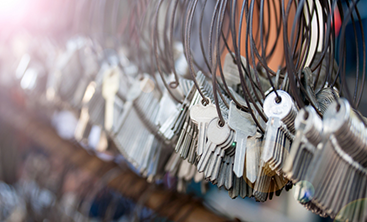 The Destin Locksmith team has the experience and training to help you out; contact us today for service in the Destin and Panama City Beach areas!